Hi there my readers. I decided to try something new. Since I started (infrequently) getting products to test and review, I thought I should also add in the the things that come in my subscription boxes. 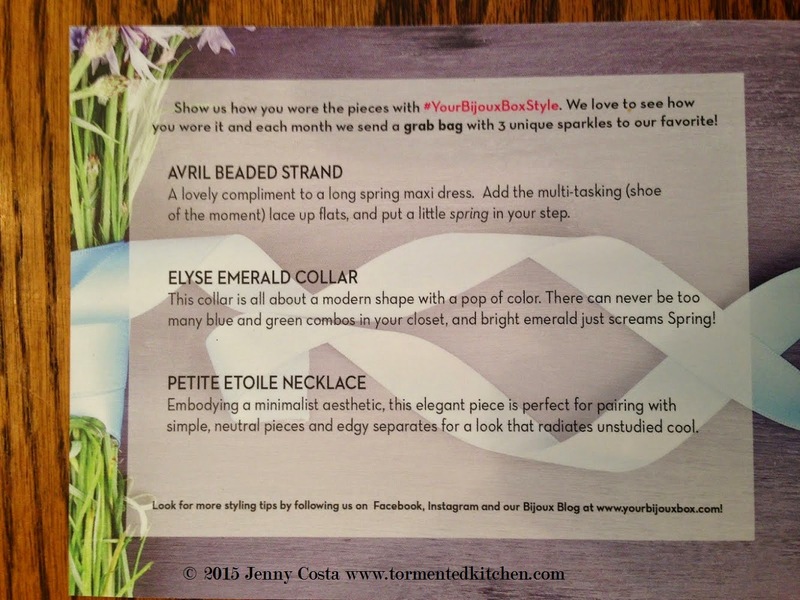 I started getting Your Bijoux Box in January and I was really pleased with what I got. I'll have to save that for later though. We're already in March! So just last night, I picked up the mail and my latest mystery box had arrived. Here's what was included. I like that they include a card describing what you just received. First on the list was the Avril Beaded Strand. It's cute and very long. 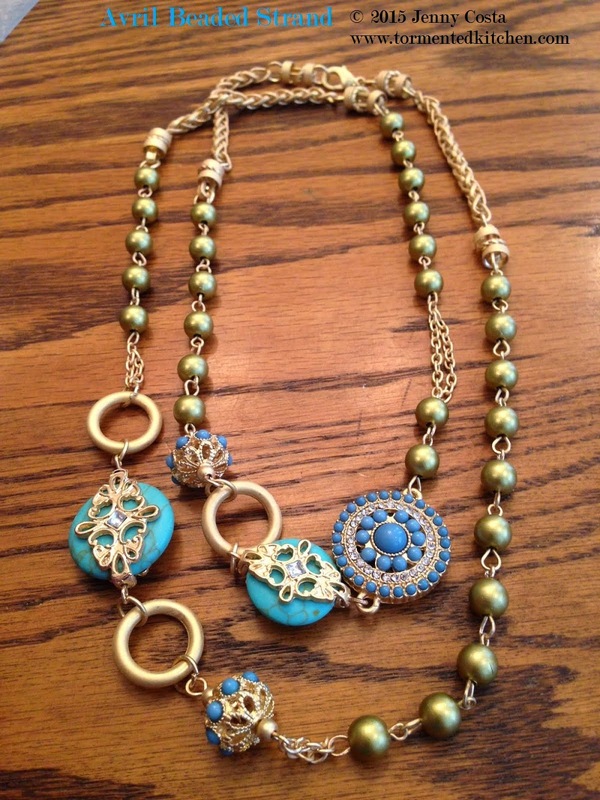 I love the turquoise colored beads. I wear a lot of turquoise so this will really get used. 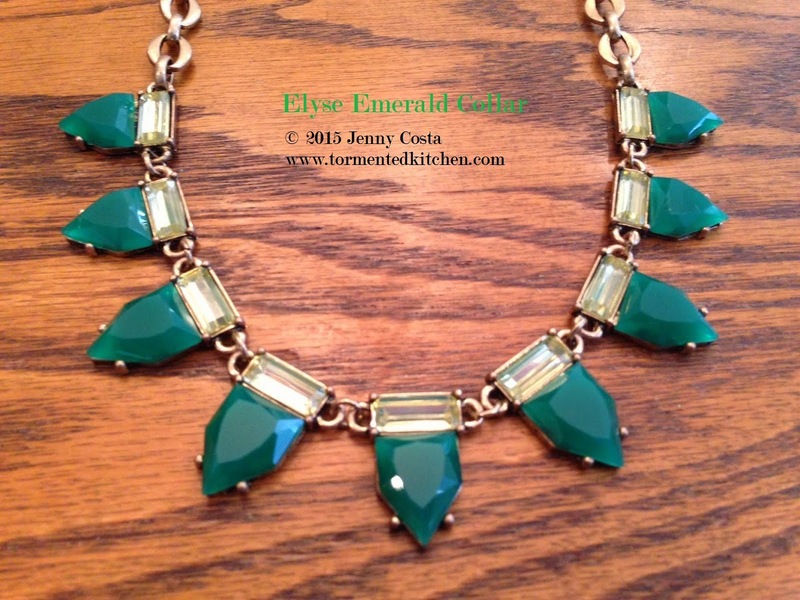 Second was the Elyse Emerald Collar necklace. 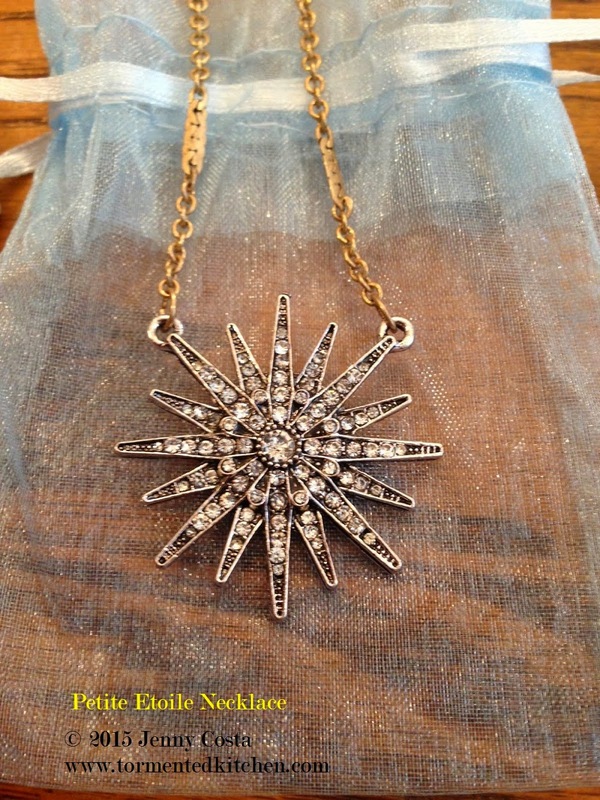 I really like that it's trendy and matches other things I've seen in catalogs, like Stella and Dot jewelry. Also, I like the green. It will be great for layering. The third piece is the Petite Etoile Necklace.Very cute, and I'm wearing today. I like that is is two-tone with clear crystal jewels. It's really versatile and a great length. 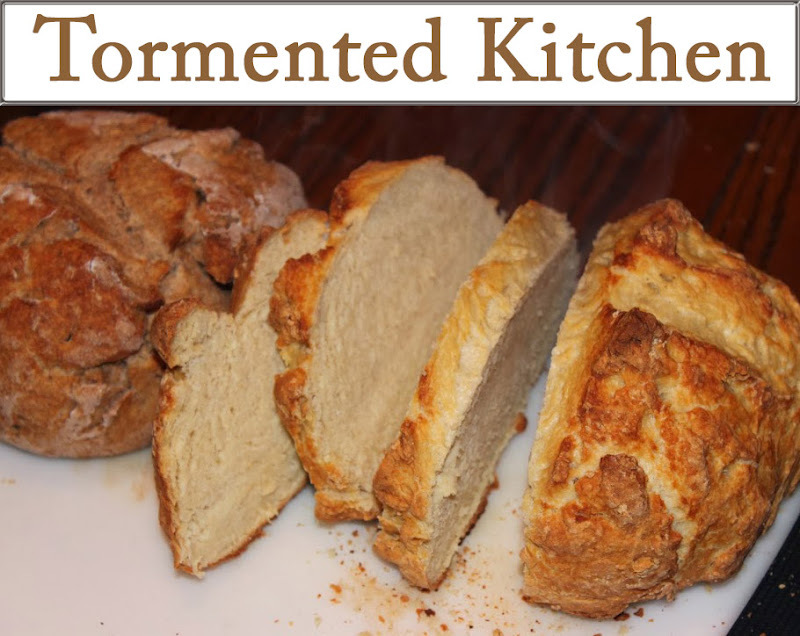 If you love these items, it's not too late! 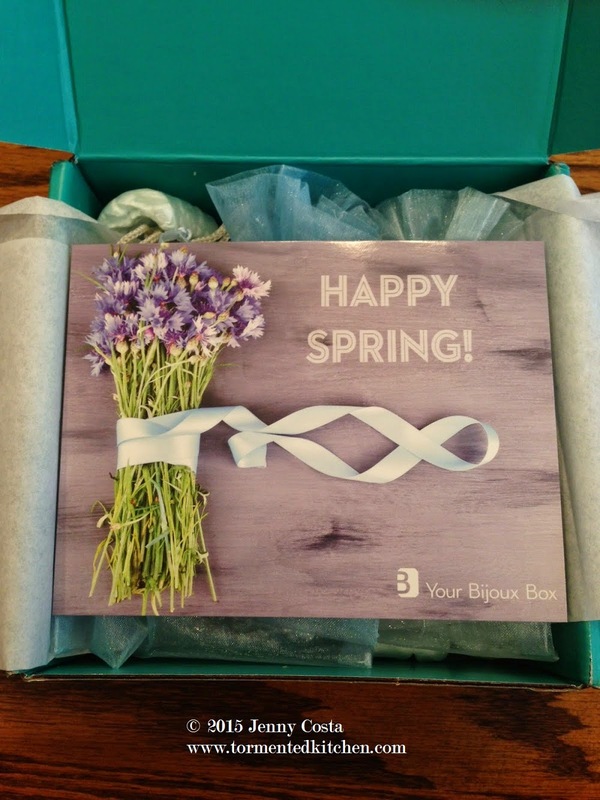 You can still sign up and get your own March box at YourBijouxBox.com. Lastly, I ordered an add-on.The January box came with two pieces called Sabine, a collar necklace and a leather wrap bracelet. 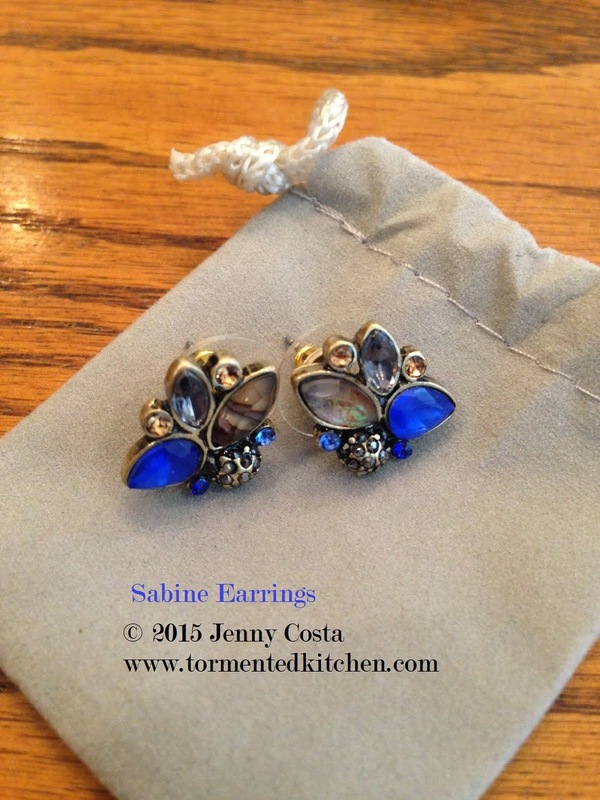 They offered these Sabine earring to coordinate and I just could not pass them up. I've already worn the Sabine necklace quite a few times. It's really close to a set sold by Chloe and Isabel at a fraction of the cost. By the way, for the sake of transparency, I paid for this subscription myself. It was in no way free or provided to me for some exchange of services. I just really liked the products and wanted to share my opinion.